My friend Darby and I were discussing things we do to ensure chick vitality. Well, here is the skinny on creek sand. 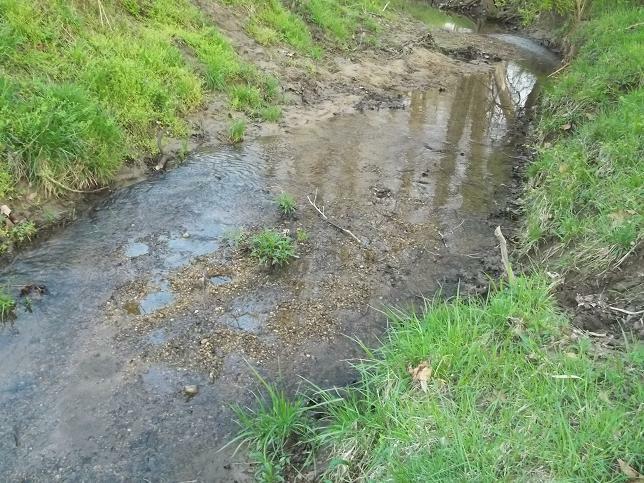 I go down to the creek (well, the branch) with a bucket and a shovel. I’m not concerned about getting pure sand, a specific size of the sand or even looking for dry sand. I just fill the bucket. 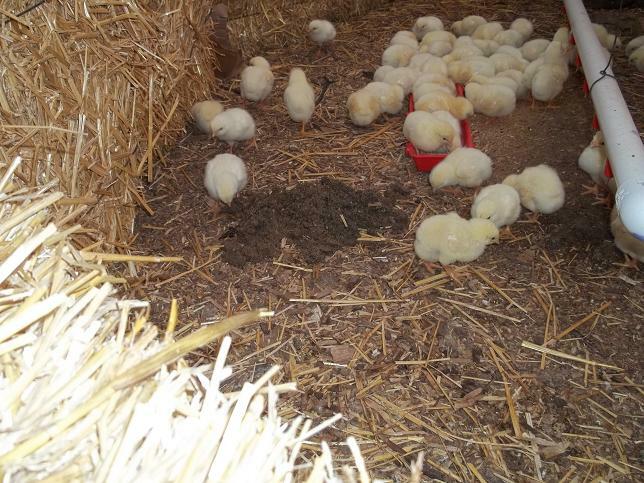 The chicks will pick out their favorite bits and everything will be just dandy. Further, there are small organic bits mixed with the mud and sand as well as small organisms the chicks seem to really enjoy. 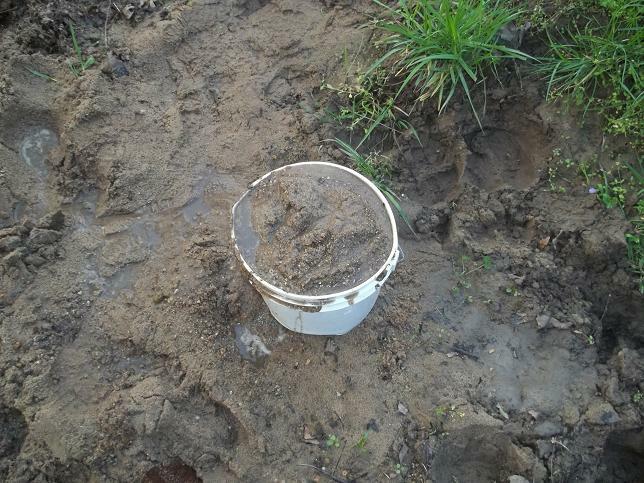 I also put small shovels of sand out for the young pullets and ducks. Again, they pick out what they want and incorporate the rest into the bedding. A little sand is a good thing in compost. Because chickens don’t have teeth they use their gizzard to grind up the food. The gizzard is just a muscle so rocks stored in the gizzard enable the chicken to utilize feed more efficiently. By providing creek sand I’m giving the chickens a variety of rocks to pick from and additional nutrition at essentially no cost. I don’t have to be stingy about creek sand as noted by my friend Darby after he tried it. All of this was detailed in Salatin’s “Pastured Poultry Profits” on page 45. If you are considering raising poultry on pasture, be sure to read this book. 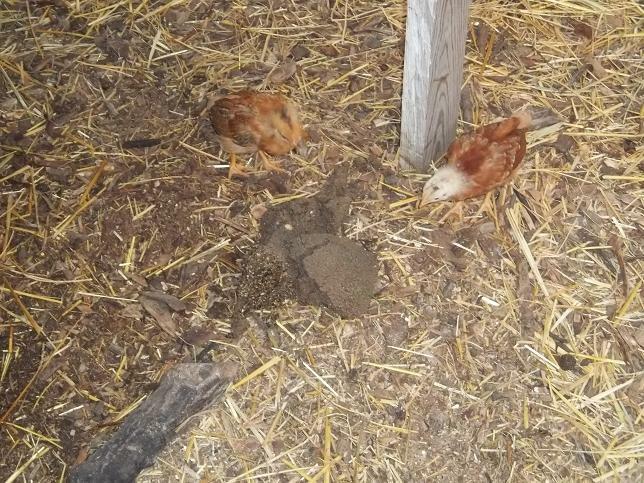 This entry was posted in Composting, Pastured Poultry and tagged Gizzard, Pastured Poultry Profits, Sand. Bookmark the permalink.